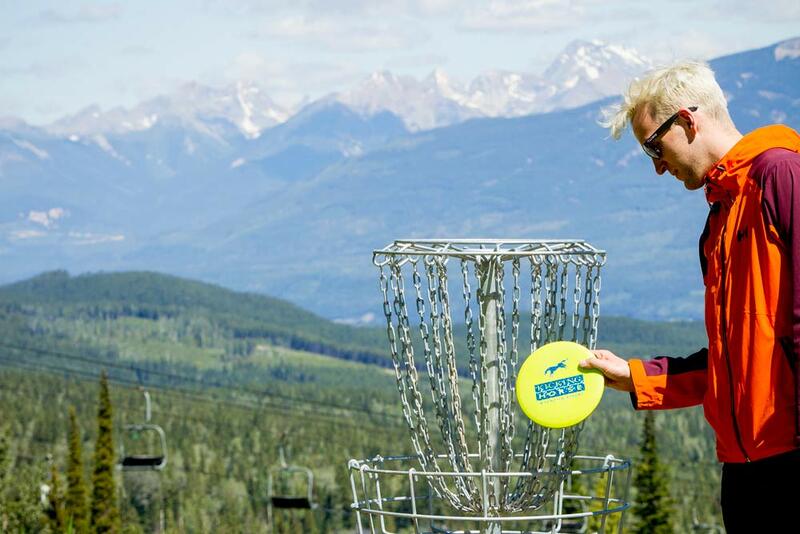 Try out the new 18-hole disc golf course at Kicking Horse Mountain Resort! 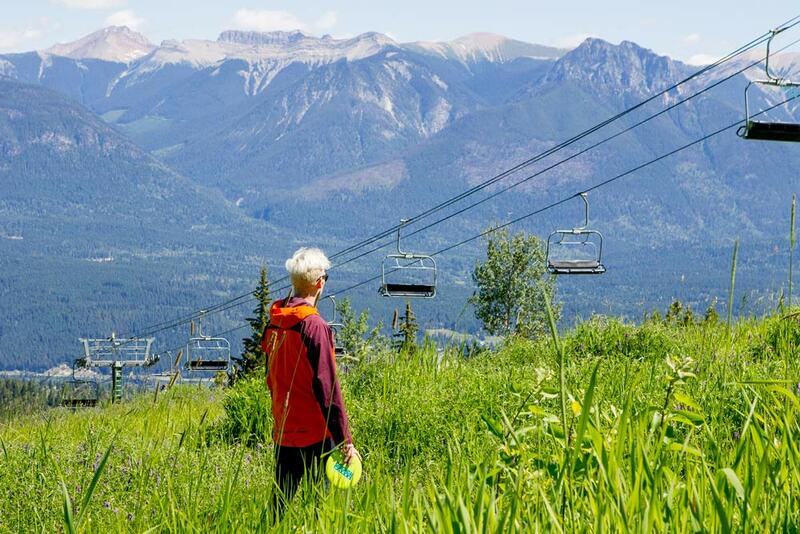 The course overlooks the Columbia River Valley and Rocky Mountains and is now open for play. 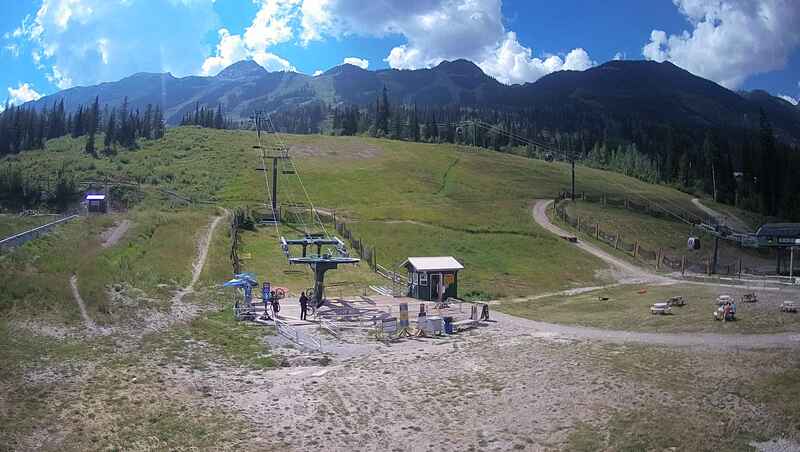 To access the course you just need to purchase a Grizzly Bear Refuge ticket, Adventure Pass ticket or use your Summer Seasons pass, and then ride the Catamount Chair to mid-station. The course features holes ranging from 47m (154ft) to 92m (302ft) and provides a fun introduction to the sport as well as a challenge for experienced players. 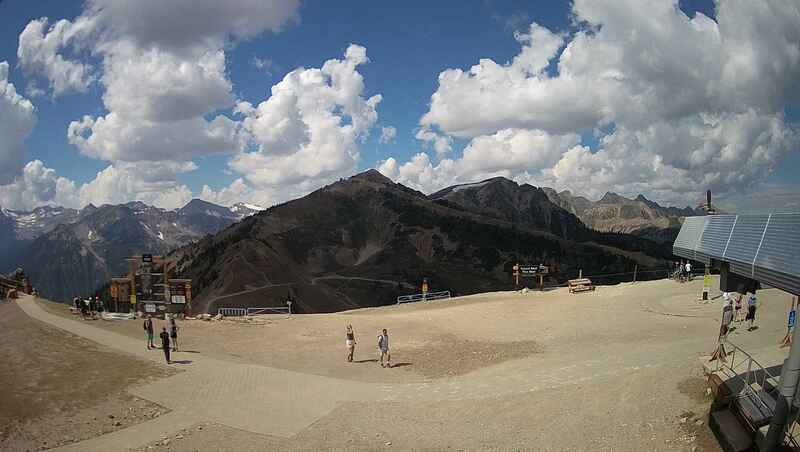 Course is open from 9:45am - 4pm (last chair ride) daily until September 4th! 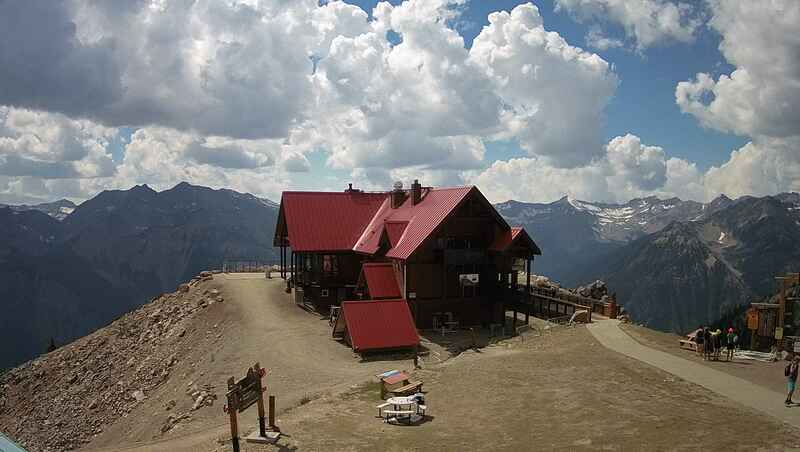 Stay tuned for fall hours of operation. Disc golf is played much like traditional golf. Instead of a ball and clubs, however, players use a flying disc or Frisbee®. 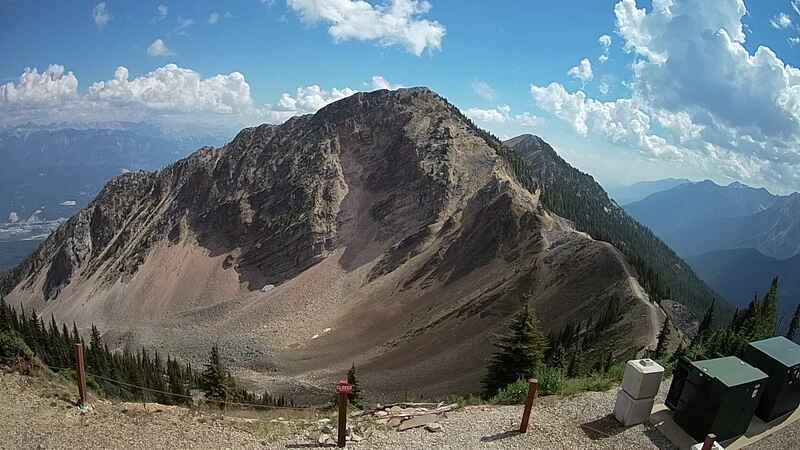 The sport was formalized in the 1970's and shares with "ball golf" the object of completing each hole in the fewest strokes (or, in the case of disc golf, fewest throws). A golf disc is thrown from a tee area to a target which is the "hole". As a player progresses down the fairway, he or she must make each consecutive throw from the spot where the previous throw has landed. The trees, shrubs, and terrain changes located in and around the fairways provide challenging obstacles for the golfer. Finally, the "putt" lands in the basket and the hole is completed. 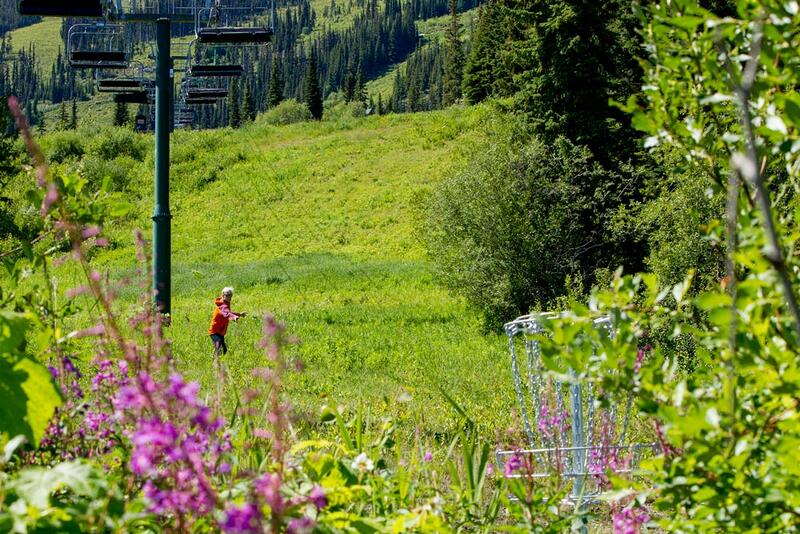 Disc golf shares the same joys and frustrations of traditional golf, whether it's sinking a long putt or hitting a tree halfway down the fairway. 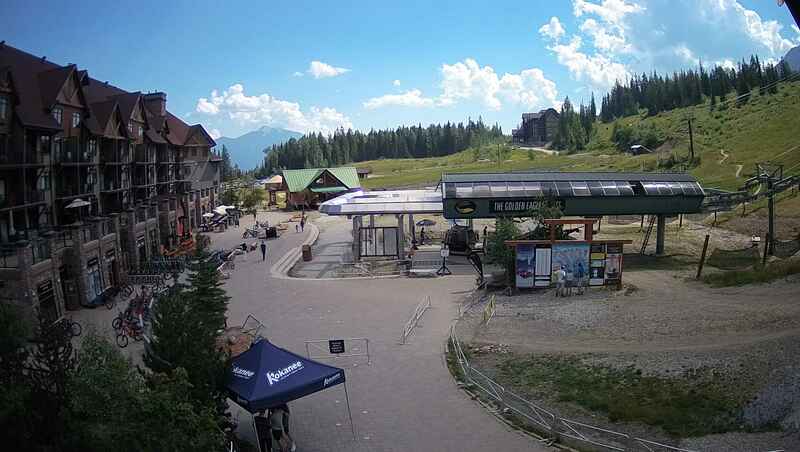 Visit the Outfitters Store in the base plaza to purchase your tickets and pick up a course map and scorecard. 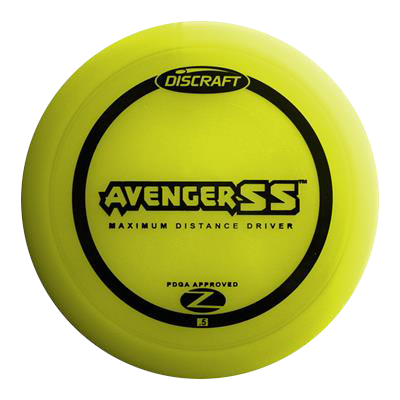 If you need discs there are a few models to choose from and purchase in Outfitters. The Avenger SS™ is the premium maximum distance driver for amateur players, combining long glide with ease of control. 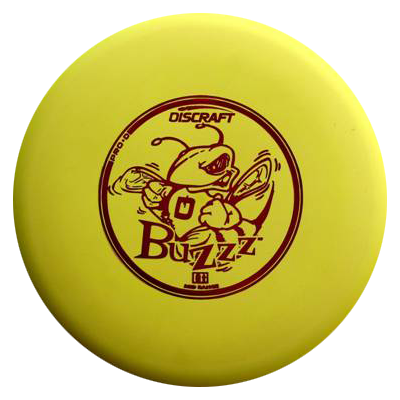 Buzzz™ is the best golf disc you can buy, period. It's an ultra-dependable, straight flying midrange that you'll reach for again and again. 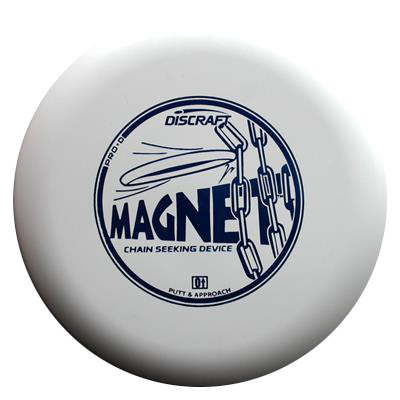 The Magnet™ is Discraft’s flagship putter, and is used by thousands of seasoned disc golfers. Not too hard, not too soft... it goes in and stays in.